You have to admit, electronic mails have made it easier to communicate. It saves us the time and effort to complete a task. With a simple click of a button, our message is quickly sent to its corresponding recipient. All we have to do is wait for a response. However, formal emails need to structured in a particular way. To do so, email etiquette rules must be followed. When there are thank-you emails, there are also complaint emails. This type of email expresses dissatisfaction on a particular behavior, product, or service. 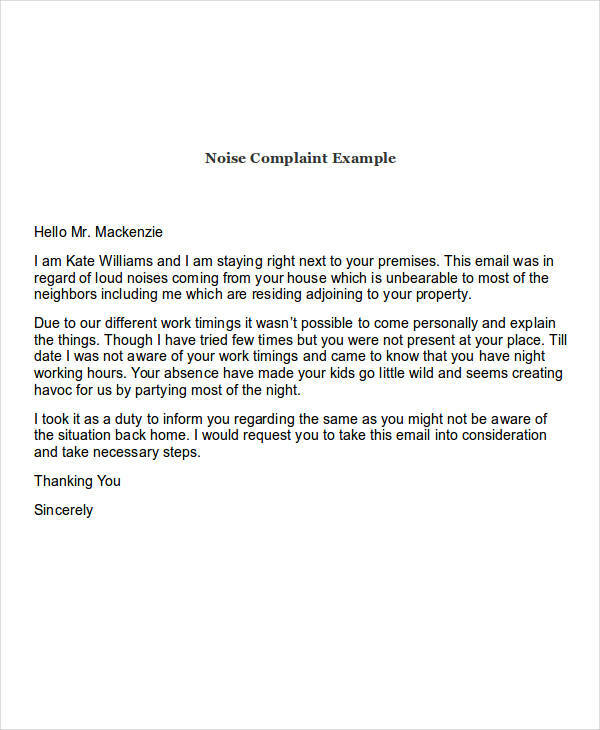 Writing a complaint email is a formal way for a concern to be addressed immediately. It’s probably a good method for putting all your frustrations into writing as well. To begin with, you need to properly address the entity involved. Once that is done, you need to clearly explain the situation. You can do so by stating the events that led up to the incident, the problem, and then a call to action buttons. You may also see marketing email examples & samples. Keep in mind that the problem must be emphasized as it serves as the primary concern for the complaint. It’s also important to include your name and contact details so that a company may easily get back to you. You may also like application email examples & samples. For starters, you wouldn’t be writing a complaint email if there isn’t a good reason to do so. 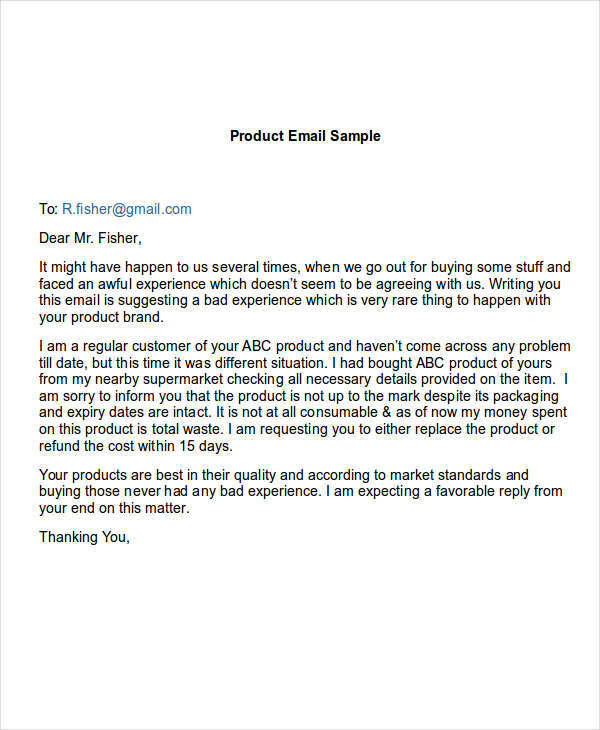 Some people write complaint emails to ask for refunds on a given product or service while others do it for a company to simply be informed of their mistakes. 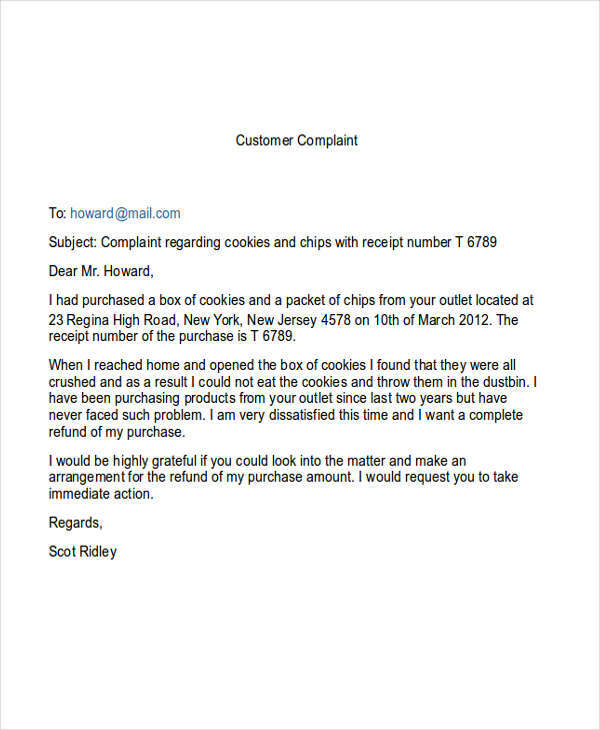 Complaint emails don’t have to be business related either. you may also check out announcement email examples & samples. 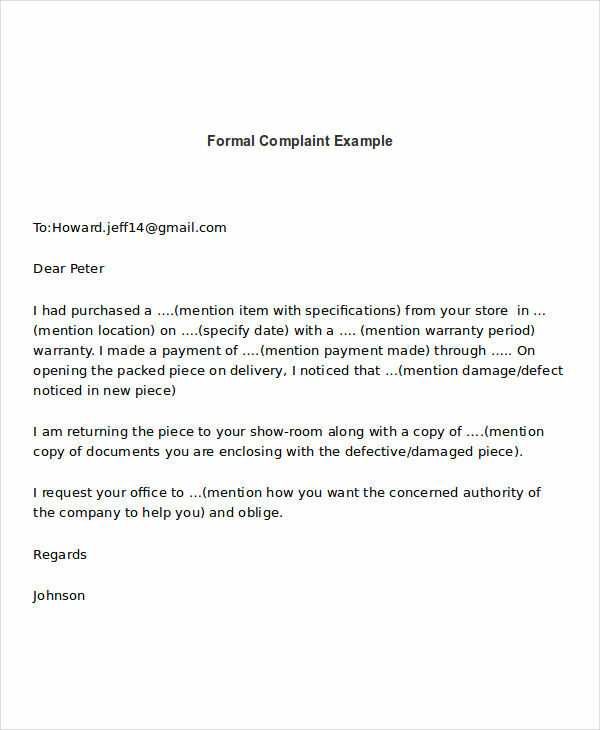 To write a complaint email in pdf, you need to make it clear and concise. Be specific with the problem you are facing to give the recipient a clear image of what you are trying to convey. A call of action must also be stated. Think about how you want a problem to be resolved. Be reasonable with this. This will make it easier for a recipient to work around your demands. 1. Add a subject line. Your subject line should give a gist of what the email is about. You don’t need to make a three-page essay on your complaint. Only state what you think is necessary. You may also see client email examples & samples. 3. Provide a time limit. Giving a time limit for a matter to be resolved will prompt the recipient to act immediately. Choose your words carefully and try not to be tactless. The person on the other end may not be entirely at fault so it isn’t necessary to take it out on them. You may also like job offer email examples & samples. This could be images, receipts, and other documents that serve as concrete evidence to your claims. It might also be necessary to save a copy of your email just in case. You may also check out payment email examples & samples.